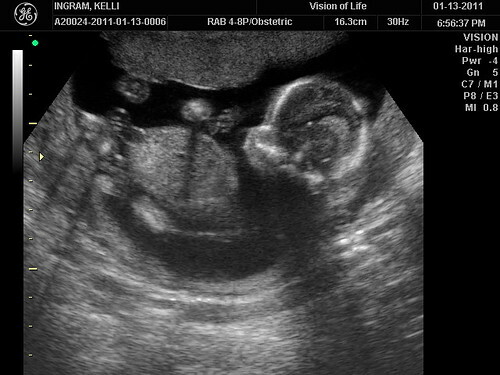 But we have certainly got confirmation on what this sweet little babe is! 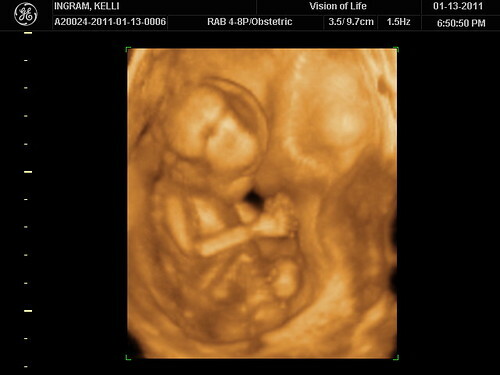 Little back story: We had our scheduled 16 week appointment yesterday with one of my fave doctors in hopes of her trying to fit us in for a sneak peek ultrasound to find out the gender. Well, with all of the snow and everything being kind of backed up, there just wasn't time for us. I know, I know, most people don't find out until the 20 week appointment. We just had our hopes up though because we were able to find out at 16 weeks about Lael, and I guess we were maybe a little spoiled. Can't rain on our parade though. No sir-eee, Bob. You know what I did as soon as I got out of the doctor's office?? 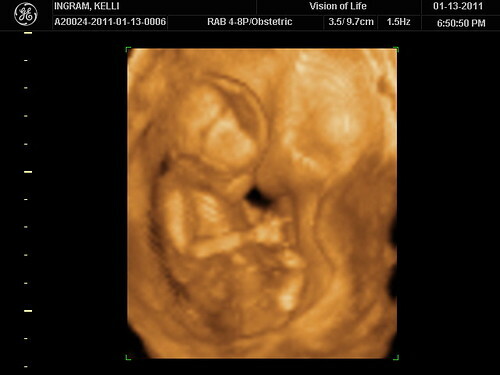 Called up both of the 3D/4D ultrasound places here in Greenville. Yup. And one of them could take us for an appointment at 6:30! Instantly un-bummed. So we headed on over to Vision of Life to see our sweet little thang. If you live in the upstate I would definitely recommend this little gem of a place. It was such a neat experience. Totally worth the mere sixty bucks we spent to find out a little early the fate, if you will, of our family! 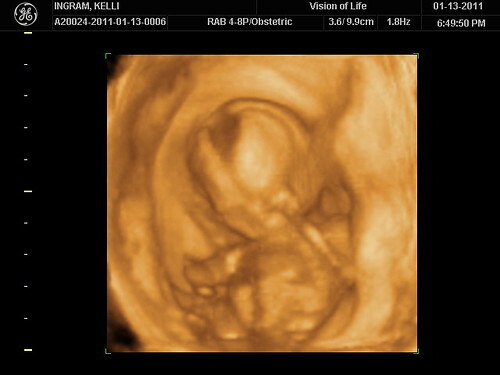 Trey was quite a fan of the huge leather couch and large flat screen tv that he got to watch the ultrasound on. And Lael, well, she couldn't have been happier (or more oblivious!) playing with all of the toys in the room. In the words of Juno, "I'm thinking it looks probably like a sea monkey right now and we should let it get a little cuter." My thoughts exactly, Juno. Baby Boo needs to chub up a bit. I must admit, the 3D experience is much cooler further along in the pregnancy, but nevertheless, we're happy to have the pictures. Anyone have a hunch about what it is?? Take a guess!! I'm guessing it's a boy! Oh, come on! Ha! I'm guessing a boy, too. I'm thinking a boy? okay, maybe a girl? I don't know!! !It is a precious bundle of joy!!! I was thinking girl originally, but since you said "we have certainly got confirmation" I'm thinking BOY! I'm not going to guess, because chances are I would be totally wrong, but I cannot wait to here what this very blessed child of God is!